Android tutorial to learn how to build compass application in android studio. Now in this blog post, I am going to make a very simple application which shows the direction like North, South, East, West. Exactly, I am going to build a simple compass application. 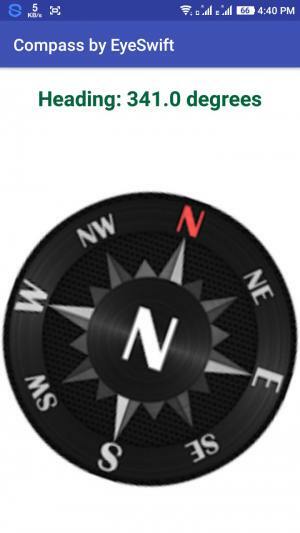 I will show you the Java and XML code that will be used to build this simple compass application. Before going to start I want to inform you that Some of the android devices do not have full support for motions sensors. So this application will not work for those types of android devices. 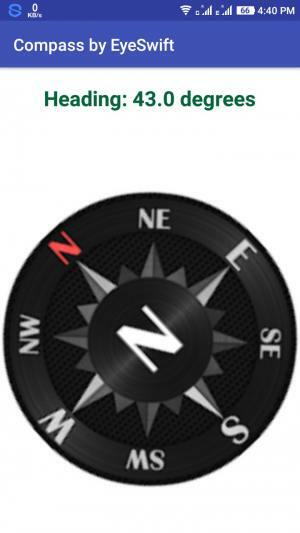 You can also use the image in your compass app or use a different image. Now let’s start with coding. I am going to give you the full Java and XML code of this app. You need to replace the package name with your own. On Google play store each of the android application should have a unique package name just like domain names. That’s all you need to create your compass app for Android. The image will show the direction and the TextView will display angle in degree with respect to North. « How to convert Integer to String in Java easily?